Muchas gracias to Cecilia Gonzalez, aka wenlita, who has translated the pattern into Spanish. 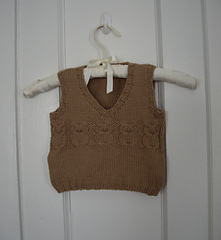 Merci beaucoup to corinne60, who has translated the pattern into French. 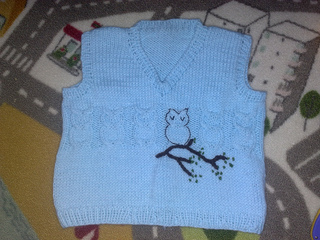 This is a copyrighted design, so please contact me if you would like to purchase a cottage license and sell little handknit owl vests.